About 20 minutes by car from Nadal, the Gouffre de Padirac, begins as an immense shaft in the Causse de Gramat near the Dordogne river. The Gouffre de Padirac had long been the subject of legend and lore, but it was not until 1889 that the speleologist E. A. Martel undertook the first systematic exploration. To their great surprise, at a depth of 100 metres Martel and his crew discovered an underground river running through magnificent limestone caverns. 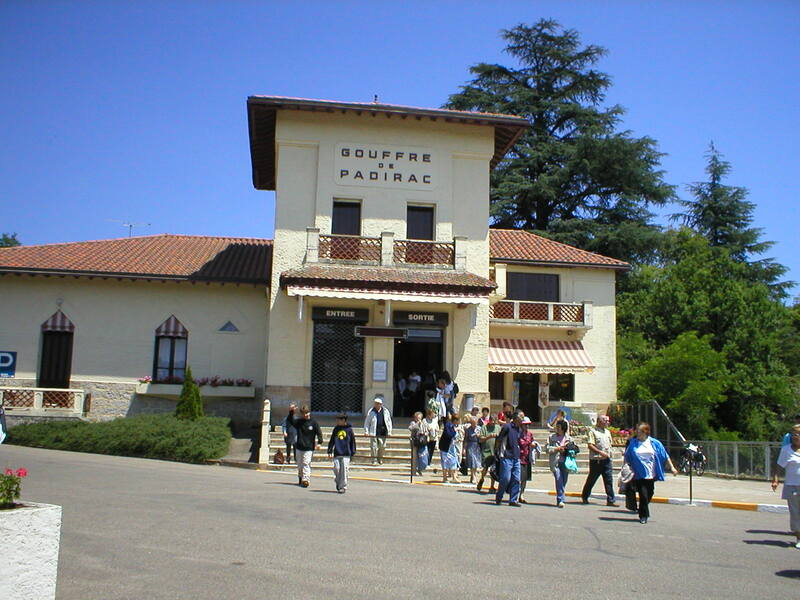 Today, the Gouffre de Padirac is one of France's great attractions. Visitors descend by elevator, then stairs, to the underground river, where you climb into flat-bottomed boats for a guided river excursion to the interior of the site. From there, a guide leads you through the underground caverns, pools, and other sights, returning to the boats for the return river-ride and the ascent by stairs and elevator back to ground level.